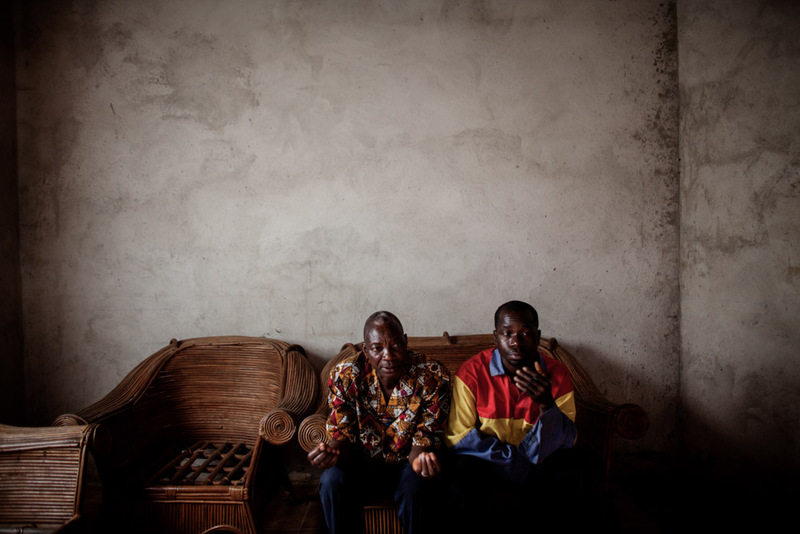 Vövpö Delamou, 67, village elder and Pepe Haba, 39, sits in the Haba home in Womey, Guinea on January 24, 2015. Delamou and Haba recouns the events September 16, 2014 when a government led group visiting Womey was attacked and eight people were killed while trying to educate people about Ebola. The people of Womey claim the military looted all of their belongings while their town was occupied.